Vitamin solutions for your pet's health needs. When you want to nurture your dog's body, mind and spirit, we invite you to experience the award-winning music of Steven Halpern, the pioneering artist whose music has touched the lives of millions. Halpern's music helps your dog relax, reduce stress, sleep better and connect with their spiritual essence. Daily chewing of raw meaty bones sanitizes the oral cavity of the successful carnivore. There are many styles of collars to choose from depending on your dog's size and disposition, and your training need. Many consumers are not aware that the pet food industry is an extension of the human food and agriculture industries. Pet food provides a market for slaughterhouse offal, grains considered "unfit for human consumption," and similar waste products to be turned into profit. Learn what to look for to find the perfect pet-friendly apartment. To prevent potential problems from arising, pet owners should put careful thought into choosing the right type of pet to suit their lifestyle and their living space. Commonly Asked Questions About Service Animals in places of business. While service dogs are supposed to be trained to do specific tasks -- not only to provide emotional support -- there is no federal or state requirement for any official training program or certification. Have you been seeking a quality company offering holistic dog food and natural cat food without any luck? Welcome to your one stop source for the best in natural pet care and holistic pet food. Many vegetarians and vegans feed healthful, meatless diets to their companion animals. One remarkable example is that of Bramble, a 27-year-old border collie whose vegan diet of rice, lentils, and organic vegetables earned her consideration by the Guinness Book of World Records as the world’s oldest living dog in 2002. V-dog is recognized as the original vegetarian dog food, first produced in 1980. Our nutritionists have developed Crunchy Nuggets using only natural, healthy and wholesome ingredients and without the use of artificial colors or preservatives. Veganpet is a complete and balanced dry pet food that contains no animal products. It provides a real alternative to processed animal foods and is priced comparitively. Scientific studies confirm Veganpet’s suitability for maintaining a healthy diet for both cats and dogs, young and old. It is possible to love and care for an animal in a way that enriches the lives of both the animal and the human involved. It is also possible to raise a meat-eating animal such as a cat or dog on a vegan diet and thus reduce the overall amount of animal suffering and death in the world by not supporting the exploitative industries of fishing and meat-farming. Armaiti May, DVM is a dog and cat veterinarian currently practicing in the West Los Angeles area. The youngest of a class of 122 students, Dr. May obtained her Doctor of Veterinary Medicine degree from the University of California, Davis School of Veterinary Medicine in June 2005. She graduated with High Honors from the University of California, Berkeley with a Bachelor of Science degree in Bioresource Sciences in May 2001. Fresh frozen vegetarian diet supplement made with organic ingredients: Slow Cooked Millet, Lentils, Potatoes and Carrots; Hot Soaked Oats and Fresh Shredded Carrots, Zucchini, Kale and Beets, Wheatgrass, Fresh Ground Flax Seed, Cold Pressed Safflower Oil, Nettles, Garlic, Lecithin. Veg-to-Bowl is a fantastic way to provide essential vitamins, minerals and fiber for your companion dog. By adding the vegetables and herbs for digestion in Veg-to-Bowl every day, you give your dog the key to proper nutrition and a happier, healthier life. The Honest Kitchen's dehydrated food offers many of the benefits of a biologically appropriate raw pet food diet, combined with the convenience and peace of mind of a nutritionally balanced, ready-blended product. Dehydration simply removes the moisture, which prevents decomposition. As an ancient form of preserving food, virtually all of the nutrients are left intact. This is a much "fresher", and therefore healthier, approach than the extrusion process that dry kibble undergoes. The facts about meat-based and vegetarian cat and dog diets. A vegan site since 1998 offering 100% cruelty free products. Evolution Diet has proved repeatedly that Cats and Dogs can live longer and healthier on a Meat Free Diet that includes the Freshest, Purest Polyunsaturated Vegetable Oil. Evolution Diet has proven that Dogs, Cats and even Ferrets can not only live very successfully on a Flesh Free – Animal Fat Free Diet: They can live longer and healthier. 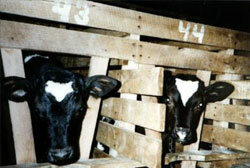 Purchasing meat-based pet foods perpetuates the cruelties of the "food animal" industry. And, as a vegetarian or an animal lover, it probably seems contradictory to feed your favorite animal the remains of other animals. to their companion dogs who are omnivores just as we are. Vegedog™ supplement is like magic. Just add it to ordinary people food, using our recipes as your guide, and suddenly the vitamin and mineral content of the food is adjusted for dogs. Research proves Strict Vegetarian Diets and Supplements prevent and cure these diseases in Humans. That is why the most knowledgeable and concerned Veterinarians and others are choosing Evolution Diet Holistic Pet Foods to prevent and treat these diseases in Dogs, Cats and Ferrets. Provides Vegetarian Starter Kit with information, tips, and recipes for new vegetarians. The chicken used in Karma is the Rosie chicken supplied by Petaluma Poultry in Northern California. 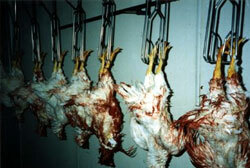 Rosie was the first chicken in the United States to carry a certified organic label. Rosie is a free range chicken, allowed to run and forage outdoors in an open-air, fenced area outside the barn. 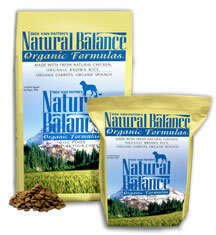 Natural Balance Organic Formulas® are GMO free and never sprayed with pesticides. Natural Balance Organic Formulas® use only free-range, humanely treated, antibiotic and hormone free chicken, with a wide range of organic ingredients. Featuring reviews and ratings of different brands, feeding tips for specific breeds, info on different diets and recall alerts. Canine Cancer Awareness, Inc. is a nonprofit organization dedicated to elevate the public level of awareness through the distribution of printed educational materials (on the web or otherwise) while working in coordination with other programs involved with issues regarding canine cancer. To date, we have completed 3 allogenic stem cell transplants for dogs with lymphoma: Comet, Bailey, and Annabelle. Welcome to Chemocare.com, my new website designed to provide the latest information about chemotherapy to patients and their families, caregivers and friends. We are here to help by supplementing what you may already have learned from your healthcare professional. The following are some web sites that may be helpful/supportive to those of you beginning your journey up the hills and through the valleys of cancer, with your beloved companion animal. A veterinarian specializing in holistic healthcare for your pet dogs. The California Animal Hospital - 24 Hour Emergency Care Since 1980. Drs. 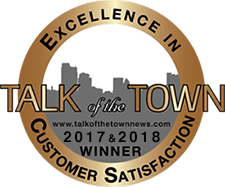 Ettinger, Lusk, Barrett, Norman, Charette, Sammut and their associates provide both general veterinary services as well as referral medical services. Dr. Dody Tyneway holds a B.S. in Animal Science from Cornell University. She graduated with honors from the University of Florida College of Veterinary Medicine in 1992.
hospital for small animals, large animals, avian and exotic pets. 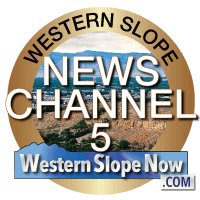 Doctors and staff are trained in both holistic and Western allopathic medicine. A team of professionals dedicated to providing your pet with the best possible veterinary care in a gentle, caring environment. The Animal Surgical & Emergency Center, one of the largest referral and specialty hospitals in the country, has been in business nearly 30 years. With board-certified specialists in numerous specialties, cutting-edge 24 hour critical care, state-of-the-art equipment, and a "team approach", our goal is to work in partnership with your referring veterinarian, for the benefit of your pet. The AltVetMed Web Site, your home for finding information about complementary and alternative therapies in veterinary medicine (CAVM). HALO'S MISSION is to provide people and their pets with honest information and wholesome products to better the lives of the animals and the people who love them. ShirleysWellnesCafe.com is a free educational web site created from a labor of love and as a public service. Dr. Pitcairn DVM - "...When I began to suggest the feeding of raw meat I found animals becoming more healthy even without other treatment. Indeed, I have frequently had the report that people find their animals become healthy when they make this change and diseases for which they were hoping to have treatment (on a waiting list) have disappeared. A range of natural remedies that can be used to help alleviate your dog’s bad breath. Most people and even many veterinarians believe that more than one vaccine is needed to "prime" the immune system or build immunity, but in the case of modified live virus vaccines for parvo and distemper, this isn't really necessary. Annual shots: Many veterinarians insist on them, boarding kennels and groomers require them, and keeping "current" on vaccinations has become one of the hallmarks of responsible pet ownership. But are they really necessary? And are they safe? A "titer" is a measurement of how much antibody to a certain virus (or other antigen) is circulating in the blood at that moment. Most guardians have never been told the truth about vaccinations. Now you have your puppy, the clock is ticking and you need to meet three more developmental deadlines before your puppy is five months old. Gary Null has long been known for his work helping people improve their lives through nutrition and natural means. In Natural Pet Care, he turns his attention to animals, and not simply dogs and cats. Walk away from punishment-based training methods and learn how you can reward your dog to obtain and reinforce the behaviors you could only dream about achieving! How can bad behavior be easily transformed into good behavior? Why does management work better than force? What is the one toy every dog parent should have? PLUS the latest info on training with treats, vaccination schedules, housetraining and problem prevention. Outlines everything you need to know to select the right puppy, as well as all the crucial lessons a puppy must be taught during its impressionable early development. True Tails from the Dog Park" is a fun and charming collection of short stories, tips and advice all told from the perspective of two dogs, Max and Luther. The book offers great lessons on dog park etiquette and is perfect for dog lovers of all ages. This new addition to our Gentle Leader line is a perfect solution for owners who want the same amazing control they are accustomed to - and their dogs who still want to cater to their inner fashionistas. Available in 3 ribbon designs and with complementary colored felt for extra comfort, this product also comes complete with a matching 6' leash. The SENSE-ation™ (Sensation) is the Original, patented Front-Connection™ harness. It is designed for our Softouch™ methods and general management. Your pet will love the padded comfort of this unique harness. The Buddy System is a unique hands-free leash system designed to make it easy to take your buddy along. Effectively stops pulling and lunging and can control jumping and barking without choking your dog. Innovative design of halter stops pulling instantly while providing maximum comfort for your dog. Tag Silencers For Your Pet. Leather Creations for Dogs Inc. The foremost manufacturer of custom dog collars, fancy dog collars, personalized dog collars and leather dog collars for every need and taste. If you have a flea problem, this is the first place to start. The unique natural combination of Rosemary and Cedar Oil repels fleas. Kathleen Armstrong has been a professional in the field of Holistic Health since 1992. Create a relaxing, spa-like setting in your own home with Aura Cacia products – formulated from 100% pure essential oils, to provide true aromatherapy benefits for the mind, body, and spirit. Angela Jenkins started Animal People in 1997. At that time, she was serving on the Board of Directors for Kitten Rescue and producing commercials for animal rights organizations. Heather Tannis - owner and dog walker, since 1998. The most trusted and extensive resource for dog bite victims, dog parents, parents, journalists and others needing to learn about the legal rights of victims, how to protect children, and other aspects of the dog bite epidemic. It is absolutely essential for every dog parent to have homeowners insurance or renters insurance, and that the insurance policy does not exclude accidents caused by the dog. Most comprehensive list featuring about a hundred listings. An alternative to pepper spray repellent. A highly effective and humane way to deter aggressive animals. When tested with trained attack dogs, this revolutionary citronella formula was found to be just as effective as 10% pepper spray yet without harmful side effects. 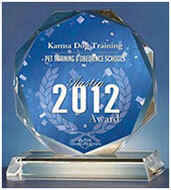 The Association of Pet Dog Trainers (APDT) is a professional organization of individual dog trainers. Welcome to Open Paw®, your definitive animal training resource. Open Paw is here to give you and your pet the tools you need to build a lasting and successful relationship with one another and with your community. 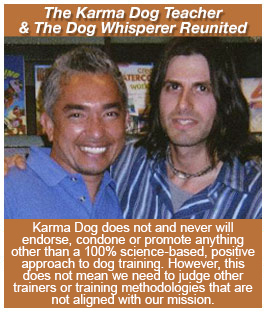 We are dedicated to sharing the TTEAM and TTouch philosophy and techniques in order to develop a deeper understanding of animals and ourselves, to heal our relationships with others, nature and the environment. 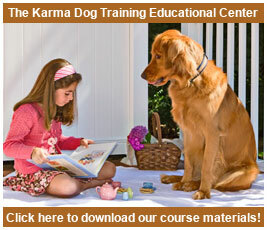 Here you will find a wealth of resources on a variety of dog-related subjects. The information on this site is for everyone to read. Please use it as often as you like. An organization established to maintain the highest standards of professional and business practice among canine professionals. Business Insurers has been providing General Liability specifically designed for pet professional associations for over 5 years. Our coverage includes the broadest Care Custody and Control coverage for the pets and property in your care whether at your client’s home, in transit or at your home. The CCPDT is an international testing and certification program for professional pet dog trainers. NADOI was founded in 1965 when a small group of instructors gathered together and resolved to promote modern, humane training methods and at the same time elevate the standards of the profession. Sue is an expert in dog aggression and an innovator in the field of shelter dog welfare, and she develops programs to prevent pet relinquishment and overpopulation, to match families with safe pets, and to help shelters attend to the mental health of the animals in their care. Website dedicated to specific training issues. The online magazine for all pet and showdog parents. SIRIUS® championed user-friendly and dog-friendly dog training—specifically, that training should be as enjoyable for dogs as it is for owners, and that training should only involve quick, easy, and effective methods that are within the capabilities of all family members, especially including children. Peaceable Paws’ mission is to foster harmony between the human and non-human animals of our world through dog training and animal behavior consultation services and seminars. Author of Don't Shoot the Dog and one of the founders of clicker training. Practical solutions and education in today's animal world. Puppyworks is "the event planner for dog people", sponsoring and organizing educational dog events for nationally and internationally known dog trainers, dog behaviorists, sports competitors and breeders. The New i-Click!, 3 Clicker Holder Set with Clickers, The Karen Pryor Choice Treat Bag and more! Tradmill for dogs. 4 different sizes to choose from. All products for Service Dogs & Therapy Dogs. Thee web's most complete source for Dog Costumes and Accessories: costumes, clothing, treats, toys, hats, carriers, and more! Where smart dogs do their business. Obedience, agility and flyball training equipment. Pup Life carries the finest dog carriers, beds, toys, training harnesses and more. At Pup Life, your dog is family. Seeks out the most innovative, effective, and safe products and bring them to the marketplace. Serving Pet Care Professionals and Independent Retailers Since 1956. MorrcoPet, Inc. is a family owned and family run company in business since 1999. They are factory distributors of all of their products. The benefits of adding fiber to your dog's diet, also included is information on four of the top high fiber dog foods. Dogster - Where Every Dog Has A Webpage! Make your dog a free webpage now! Share dog photos, tell dog stories, make dog friends! Their Mission: To fresh-bake the world's best dog biscuits and give dog lovers everywhere a healthy, all-natural, bone-ified treat to give their favorite four legged friends. We are manufacturers and distributors of genuine hand-crafted leather basket dog muzzles. A selection of pit bull muzzles. American Pit Bull Terrier Wire Basket Dog Muzzles. Crome Wire Basket Dog Muzzles, Plastic Italian Basket Dog Muzzles, Pro Guard Softie Dog Muzzles, Mesh or Leather Dog Muzzles. Wire Basket Comfort Muzzle has 3/4" straps. Made of heavy leather and star riveted. These wire dog muzzles have a special plastic/rubber surface which can last up to 50% longer, and are completely safe and non-toxic. Wire Basket Dog Muzzles used by The Humane Society. Focus on listing places that welcome ALL well-behaved dogs, regardless of size! K9s Only, your all-inclusive destination for your K9 companion, sets the standard worldwide for K9 care. A brand new state-of-the art indoor and outdoor facility featuring a fitness course, lounge and spa (and owned and operated by a licensed veterinarian and his wife), The Club Beverly Hills gives unprecedented care and attention to each dog. At Double Dog Ranch your dog will discover freedom, adventure and new friends in a secure, natural forest playground. For all the same reasons we humans need vacations, our best friends have an unmistakable need to stir their ancient canine heritage by unrestricted running through the forest, joyful romping with other dogs and then sleeping soundly in a sunny spot. is a premier cage free dog daycare and dog boarding center, chosen and outfitted to ensure that your dog has minimal disturbance to his or her lifestyle while away from home. A one-stop-shop where people could bring their dogs, pick up retail items they need and also be exposed to all the care and services that their dogs deserve from grooming, hydrotherapy, day care, training, portraits, massage care, aromatherapy, and lots and lots of love. Located a stone's throw from the Bob Hope (Burbank) Airport, Bow Wow Bungalow has been described as one part "Doggie-Disneyland," one part hotel, and one part spa. Dog Boarding, Dog Day Care, Dog Training and Dog Grooming in Los Angeles - completely cage free. Developed by leading experts in the field of holistic animal care, Animal Essentials™ supplements are made from the best natural ingredients available. The most commonly used behavioral techniques include habituation, extinction, desensitization, counterconditioning, and shaping. preeminent composer/recording artist of music that relaxes the body, opens the heart, and soothes the soul. 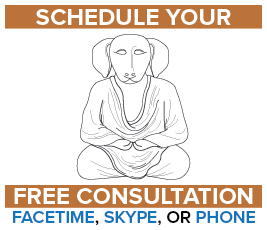 Maria’s recordings have been recommended by physicians and nurses worldwide and are highly effective for relaxation, meditation, massage, yoga, pain reduction, anxiety and insomnia. Dogwise provides the widest variety of current cutting-edge dog books and products for serious dog enthusiasts. James & Kenneth is just a small puppy publisher, trying to run with the big dogs. However, according to the Association of Pet Dog Trainers — the largest association of pet dog trainers in the world — we publish some pretty good books and videos. Profiles of dog breeds, wolves, coyotes & even the mixed breed dog. 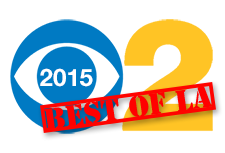 This site is packed with information on breeds from all groups in an easy to follow format. 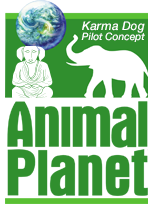 Talk to Animals is a web site about Telepathic Animal Communication. Telepathy is a simple tool that enables us to communicate directly with our animal friends. The foundation of Carol Gurney's practice is her HeartTalk Program®. Carol has taught this innovative method of communicating with animals to more than 6,000 people. The HeartTalk Program® is centered on the basic principle that animals and people can communicate heart-to-heart. In addition to being the pioneer in the field of animal communication, Beatrice Lydecker is making a difference in People's lives everyday. She combines a poignant look at her own life with a wealth of information about herbal medicine. It's time for alternative medicine, especially herbal medicine, to be recognized as having a very valid place in our fight against disease. One of the most sought after animal communicators around. on her training and experience. This patented pet automobile seat belt restraint, the BatziBelt®, has a unique shackle that quickly and easily slips onto any seat lap belt or shoulder harness. The advantage of the Batzibelt® is its simplicity and ease of use. The latest and best innovations available online to contain and train your dog to keep him Happy, Healthy, and Home. Product lines include the latest and best from Innotek, Tritronics, Dogtra, SportDog, PetSafe, DT Systems and Staywell Pet Doors. Pet How Does Smoking Affect Your Pets? Are you concerned about your pet being exposed to secondhand smoke? If your answer is "Yes," then you've come to the right place; this guide will help you ensure that they live a happy and healthy life. An assortment of products designed to keep your dogs confined to the back of the car. Vehicle Barrier Gates, Safety Seats & More. Provides nationwide services to lost pet owners assisting them in developing the best plan to quickly recover their lost or stolen pet. A 501c-3 dog rescue foundation dedicated to rescuing dogs, the day they are to be euthanized, from various Los Angeles shelters and placing them in loving homes. A rescue, rehabilitation and placement facility for abused and abandoned Pit Bulls. Pacific Coast Dog Rescue is a non-profit organization founded in 1998 and dedicated to helping end the overwhelming pet overpopulation problem in Southern California and beyond.  Karma Rescue takes death row dogs from the shelters and provides them with a second chance by rehabilitating and placing them into safe and loving homes. Karma Rescue is a non-profit 501c3, tax deductible organization. Dedicated to saving impounded companion animals, and preparing them for a journey to a new, safe, loving world. Pasadena Humane Society & SPCA is an independent, non-profit organization dedicated to promoting the humane treatment and quality of life for all animals. Petfinder.com is 10 years old this year and are celebrating their birthday - and the pets - all year long! Pet Orphans of Southern California is one of the oldest active humane organizations in the Greater Los Angeles area with a private shelter. The Animal Behavior Society is a non-profit scientific society, founded to encourage and promote the study of animal behavior. partnered with guide, hearing and service dogs. Products, services, and support for elderly, disabled, and handicapped pets. We help you care for them. Orthodogs' Silver Lining Foundation was created to serve as a place of hope for owners and caretakers of orthopedically challenged dogs. Our goal is to provide access to fundraising resources, and to make emergency funds available for exceptional cases. Canine Companions for Independence is a national nonprofit organization that enhances the lives of children and adults with disabilities by providing highly-trained assistance dogs and ongoing support to ensure quality partnerships. It is a goal of Therapy Dogs Inc. to provide registration, support, and insurance for members who are involved in volunteer animal assisted activities. These activities include, but are not limited to, visits to hospitals, special needs centers, schools, and nursing homes. We provide training, evaluation and certification procedures for therapy pets and their owners. 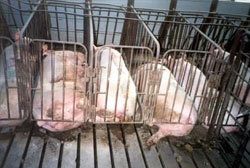 People for the Ethical Treatment of Animals (PETA), with more than 850,000 members and supporters, is the largest animal rights organization in the world.